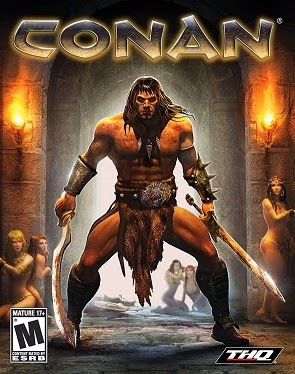 Conan is an action-adventure video game for the PS3 and Xbox 360. This single-player game puts the user in the role of Robert E. Howard's famous barbarian. After loosing his magic armor in an otherwise cool tomb battle, Conan spends the rest of the adventure looking for them, killing things, casting spells?!!!?? ?, and hunting down a rather inarticulate wizard. Old School Credentials: It is hard to call any video game "old school" in the same way that "old school" refers to table top RPGs; they are very different animals. However, the character "conan" is as old school as it gets. Conan is listed in appendix N of the 1e Dungeon Master's Guide, had two AD&D modules (CB1 and CB2), a 1985 TSR game, as well as appearances by Conan and other Robert E. Howard characters in the old "Giants in the Earth" column in Dragon Magazine. The Good: Although the graphics are not always quite up to the sharpness one would expect from a PS3 game, they are really quite impressive at times. The tomb at the beginning of the game is quite well done and the wraiths there are probably the best "minion" type foe for Conan. Fighting is fun for awhile, though it becomes very repetitive (The first time you cut of a pirate's arms with is a two-blade move is cool, the tenth time, not so much). Lastly, despite some critic's dislike of Ron Perlman's voice acting, I thought he was quite good as Conan. His voice seemed a good match for the character as written by Howard, not as portrayed by by Schwarzenegger and Momoa. And Claudia Black, who played the Bêlit-like character A'kanna, can do no wrong. The Bad: In many ways, Conan is a good example of the limitations of video games. It channels the character in ways that would be impossible in a pen and paper RPG, unless you had the world's worst DM/GM. For example, in one area of the game, Conan must make a series of superhuman leaps to survive (perfectly reasonable since it is Conan) but in other areas he is stymied by physical obstacles that would barely challenge Tyrion Lannister. Occasionally there are instances of "video game logic" where neither skill nor logic will help and one must find the correct sequence of moves by trial and error. When Conan fights the dragon in the last stage, it is fairly easy to defeat it, but it keeps getting up no matter how many times you stun it. 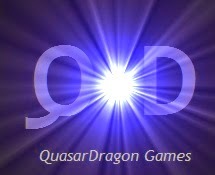 In a sensible game, you could administer a coup de gras on the helpless dragon, with Conan slitting its throat or stabbing it in an eye. Nope. Not even possible. Instead Conan must turn his back on a living dragon and perform a couple more utterly irrational acts to defeat it. Although the game often does a decent job of conveying the flavor of the Hyborian Age, occasionally it goes horribly wrong. Conan, for example, spends much of the game desperately looking his magic armor that gets stolen early on. Elsewhere he has to sink a pirate ship using a ballista and as mentioned above, fights a dragon. For the Larcenous GM: Some video games can provide good ideas for GM's, but unfortunately, this isn't one of them. As the story is very thin, there are no plot hooks worth using. The Hyborian setting is already available for use in RPGs as is Conan himself. The Tomb might possibly provide some inspiration, but not much. Value: At the original price of $60 this game was horribly overpriced. Even if you love the game, despite its flaws, $60 is far too expensive for a game that is supposed to last about six hours (I got tired of if much earlier). However, the price for a used copy is now around $4 to $8 used, which makes it a decent value. Overall: Not good. While the game started out rather enjoyably, it soon became more tedious than fun. It does have some good points but these are marred by the game's flaws, especially the use of video game logic. I hesitate to give this one a grade because so much of my dislike of this one stems from my hatred of mandatory illogical actions. If you have a great deal of patience for that then at its current low price, this is a tolerable God of War wanna be and deserves a C+, if not then it is a D.
Upcoming Reviews: Game Products: Role Aids - Monsters of Myth & Legend, Throne of Evil, and Wizards. Books: Return to Quag Keep by Andre Norton and Jean Rabe and Man of Gold by M.A.R. Barker. Television: Marco Polo. I'll be back more frequently. 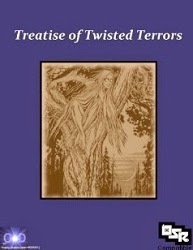 The Treatise of Twisted Terrors is an OSR compatible collection of monsters designed with the advanced version of the game in mind but with minimal changes can be used with original or classic rules or their clones. However, some editions and clones use morale for the monsters and therefore it is only fitting that this stat be available somewhere. Below are the suggested morale ratings for all the monsters in the book. Abaia 13 - Adze 15 - Aguane 13 - Ahuizotl 9 - Akhlut 16 - Ankou NM - Aswang 12 Aufhocker 11 - Bannik 11 - Basajaun 9 - Baykok NM - Bean Nighe 13 - Beast of Gévaudan 11 - Black Shuck 12 - Blemmye 12 - Bloody Bones 15 - Bulls, Aethiopian 14 - Chamrosh 6 - Gnome, Barbegazi 12 - Chupacabra 11 - Clurichaun 12 - Cuélebre 14 - Cynocephaly 12 - Demon, Abbey Lubber 6 - Demon, Al 12 Demon, Ala 16 - Demon, Amanojaku 10 - Djieien 17 - Domovoi 8- Draugr NM - Dullahan 13 - Duwende 7 - Dziwozona 12 - Each-uisge 14 - Encantado 10 - Far Darrig 12 - Fenodyree 14 - Gancanagh 10 - Gashadokuro NM - Glaistig 12 - Grootslang 14 - Gulon 10 - Hag, Mountain (Yama-uba) 15 - Huldra 11 - Ijiraq 12 - Ilomba NM - Inugami 14 - Jackalope 8 - Jikininki 9 - Jorōgumo 14 - Kapre 12 - Kikimora 8 - Kikiyaon 12 - Kuchisake-onna 14 - Lambton Worm 18 - Lamminkin 10 - Lavellan 6 - Leshy 14 - Lightning Bird (Impundulu) 15 - Mokele-Mbembe 11 - Mongolian Death Worm 14 - Morgen 12 - Night Fairy (Negret) 3 - Piasa Bird 14 - Rusalka 13 - Vampire, Manananggal 10 - Wild Haggis 4 - Xana 12 - Yale 6 - Zombie, Infectious NM. *NM means that the creature does not ever need to make a morale check.